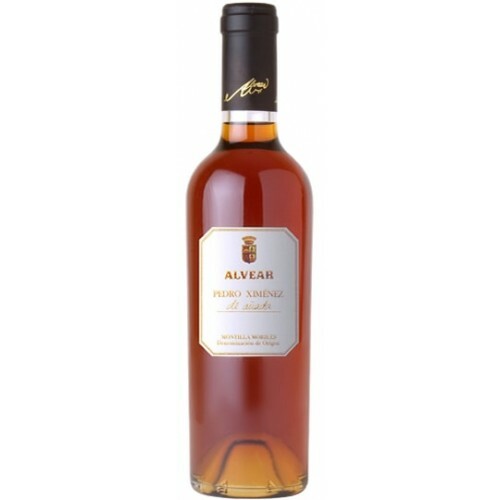 Alvear Pedro Ximenez Anada Montilla-Moriles is dark amber and sweet, with notes of honeyed figs, maple syrup, toffee and almond liqueur. It is rich and unctuous, very full-bodied and a serious decadent elixir. It should last for 20-30 years, or more.